All of our Cyclonic sheds have the full thickness wall and roof sheeting as standard. Our steel is usually thicker and stronger than most of our competitors. All roller doors supplied are certified cyclone strong. Site Specific Engineering ensuring you will have no problems getting your kit certified. 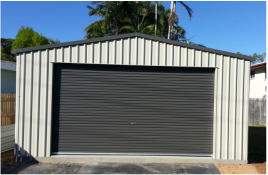 Residential Storage Sheds and Garages in all Sizes custom designed for you. 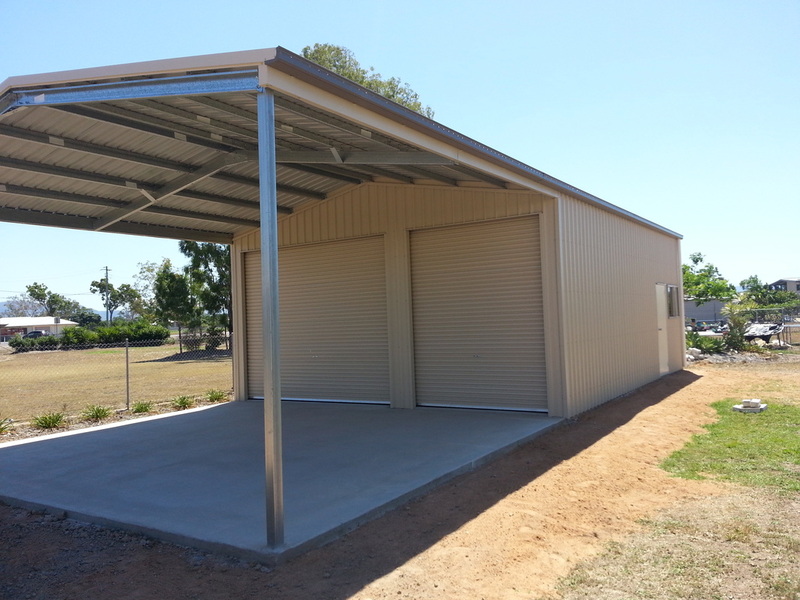 Commercial Storage Sheds large enough to suite all equipment with large door sizes. Awnings on sides and Garaports on the Gable ends are available for most sheds. Get us to fully install your shed so you don't have to worry about anything.